Los Angeles, CA. 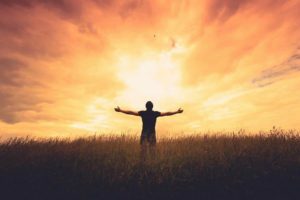 After years of studying the Bible, as well as many other religions, Dr. Pieter Noomen—who received his doctorate in theology and pastoral psychology, was senior minister of three protestant churches and a psychotherapist and staff member of a Los Angeles metropolitan church—can show you how it’s possible to connect one-on-one with your Creator. Taking years to create, a website was set up by Dr. Noomen to allow others to take advantage of his 88 years of wisdom and learn how simple it can be to connect with their Maker in order to find out what life is really all about. There is no charge to participate in these teachings—Noomen just wants every human being, who’s willing to open his/her mind, to have the chance to avail themselves of the information from the universe. Please visit: www.wordsforall.org to get started on the journey of a lifetime! Parker, CO. There are few of us who have experienced what Special Operations team members have felt during a perilous and secretive mission. 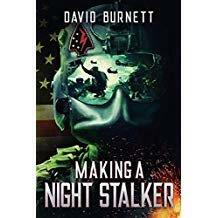 David Burnett has and he’s chronicled it in his powerful memoir, Making a Night Stalker. Burnett opens up the highly secretive world of the Special Operations Aviation Regiment (SOAR), the most accomplished and secretive special ops aviation unit on the globe. The importance of teamwork and heroism are driven home to readers in taut prose that brings to life what it is like to be at the knife’s edge, knowing a moment of inattention can bring catastrophe to you and your closest comrades. His journey starts in a conventional Army unit where he feels unfulfilled. The lack of responsibility drives him to pursue the goal of becoming an MH-47G Chinook helicopter crew chief in the world’s most secretive unit. Despite obstacles and endless training, he’s finally able to set foot on the aircraft. Achieving FMQ (Fully Mission Qualified) crew chief takes additional years of training and deployments, but after achieving the sought after role, he is honorably discharged from the military. Burnett also explores his PTSD, which drove him to alcohol. The beast was finally tamed through taking up writing, he said. For those whose only experience of war has been through media headlines, Burnett’s book presents a vivid picture of the vaunted Special Operations Aviation unit and the toll it takes on its members. Author David Burnett was born and raised in Parker, Colorado. After a few semesters of college, he enlisted in the Army in 2008. He was stationed with 563rd ASB as a 15U (Chinook helicopter repairer). After realizing his job in the regular Army was not as fulfilling as he had hoped, he applied for 160th SOAR. He went through countless years of training and deployed with the unit five times before deciding he wasn’t going to reenlist. He put pen to paper after receiving an honorable discharge from the unit and began writing his story. More information on David Burnett can be found at www.makinganightstalker.com. 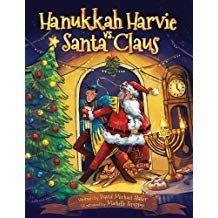 Available for pre-order on Amazon.com and BarnesandNoble.com. Elkhart, IN. One of the biggest regrets people have in life is that they didn’t do what they wanted to do and instead did what everyone else told them to do. But it’s possible to break the cycle by simply deciding now to live a life of intention. Hampton, VA. No one wants to hear from their doctor that they have cancer, and only six months to live. But these are the words that Dr. Carl O. Helvie heard 44 years ago. While his doctor encouraged him to begin traditional treatment right away, Helvie knew there had to be another way to treat his cancer without the negative side effects of radiation and chemotherapy, or the invasiveness of surgery. After a lot of praying and a good amount of soul-searching, he opted to look for an alternative way to beat his cancer. Today, Dr. Helvie is the longest-living lung cancer survivor in the world and he credits this with his decision to take a holistic approach in his treatment. 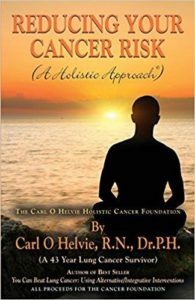 His treatment proved so successful, Dr. Helvie used it to develop a simple plan that he shares in his new book, Reducing Your Cancer Risk: A Holistic Approach (Booklocker Inc.). It’s not complicated—it’s not rocket science—but it is based on years of proven research. The book explores the environment that brings cancer and the human body together, and offers steps to take before these three elements interact to cause the disease. In 2014, Dr. Helvie founded the Carl O. Helvie Holistic Cancer Foundation—a foundation different from other cancer foundations in that they focus on the holistic approach and multiple aspects of education, research and patient care for many types of cancer. For each area of content in the book there is a review of current research studies, and steps we can take to avoid carcinogens and strengthen the body. Also included are interviews with over 40 national leaders, discussing vastly different areas ranging from GMOs and EMTs to gratitude and forgiveness. 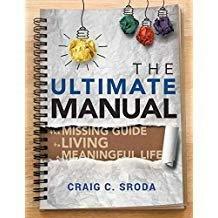 There is also a how-to section that covers everything from meditation, gratitude and faith, to minor changes in diet, drinking water and reducing stress. 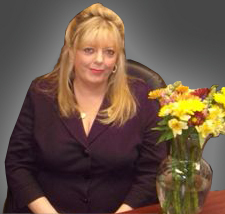 A prolific author, Helvie has written 10 books, more than 55 articles, and has presented 57 research papers throughout the US and Europe. In retirement, he focuses his research on natural interventions for health issues, which led him to develop a nursing theory that has helped him establish a nursing center and improve primary care for homeless and low-income families. Since retiring, he has written two more books and served as the host of a holistic health radio show. In 1999, he was presented the Distinguished Career Award in Public Health from the American Public Health Association. He has been interviewed on more than 150 radio and television shows about his two most recent books. For more information, please visit www.holisticcancerfoundation.com. Or visit https://www.holisticcancerfoundation.com/interviews-cancer-survivors/ to listen to Helvie’s interviews with cancer survivors.